This photograph is of a corridor that led out to a courtyard in the old hospital that I trained in. That hospital was Royal Cornhill in Aberdeen. I used to like sitting in the courtyard with patients and staff at break time. I was one of the last doctors to train in the old hospital (now mostly demolished) and my memories are generally fond. The grounds were beautiful and inside it had a most lovely ‘floral corridor’. The hauntingly beautiful album “EXIT music” always reminds me of Royal Cornhill Hospital and its ‘country companion’ Kingseat Hospital where I was the very last doctor to leave (exit). Dr John Crichton is the current Chair of RCPsych Scotland and he has been a wonderful champion of taking effective measures to tackle serious violence and has advocated providing greater support to young people. Dr Crichton has also been a lead in addressing knife crime: such as the ’rounded knives save lives’ campaign. I do not personally know Dr Crichton but have spoken to him once on the phone (he has lovely intonation) and we have exchanged e-mails. I am aware that he shares my interest in the history of medicine. 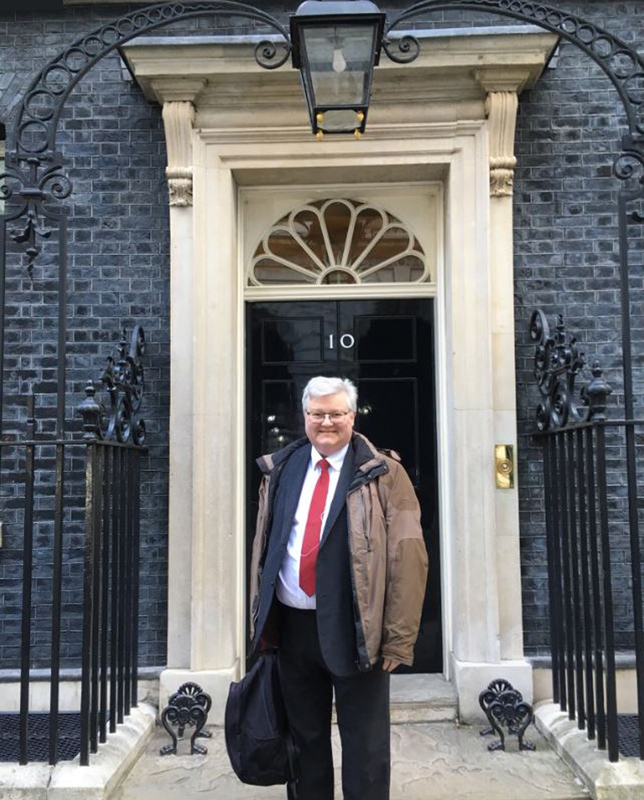 Dr Crichton has recently returned from giving advice to the Serious Violence Summit held at No 10 Downing Street. I hope that this summit gave due consideration to the potential for antidepressants to cause akathisia and seriously alter behaviour including suicide and homicide. (1) if the College in Scotland supports sunshine legislation? (2) if the College recognised the potential scale of prescribed harm? 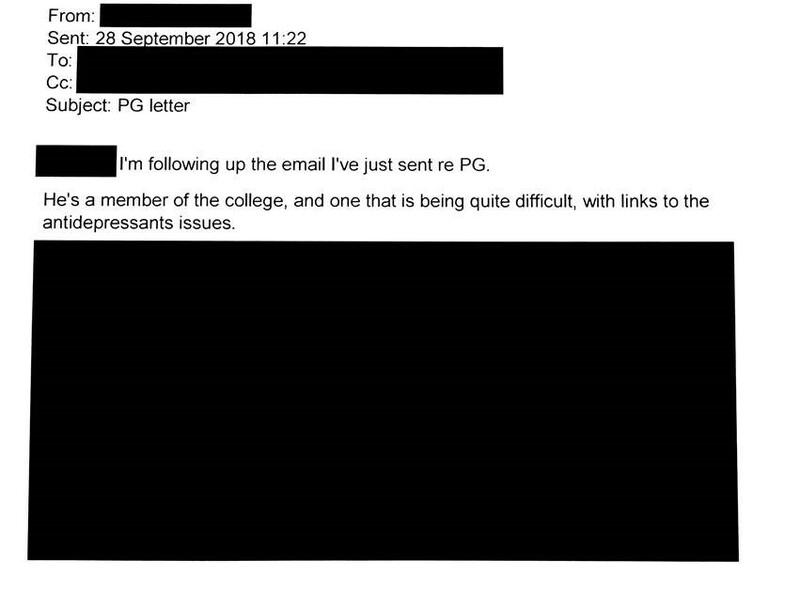 (3) if, as Vice-President, he thought the online behaviour of some members of RCPsych was acceptable? 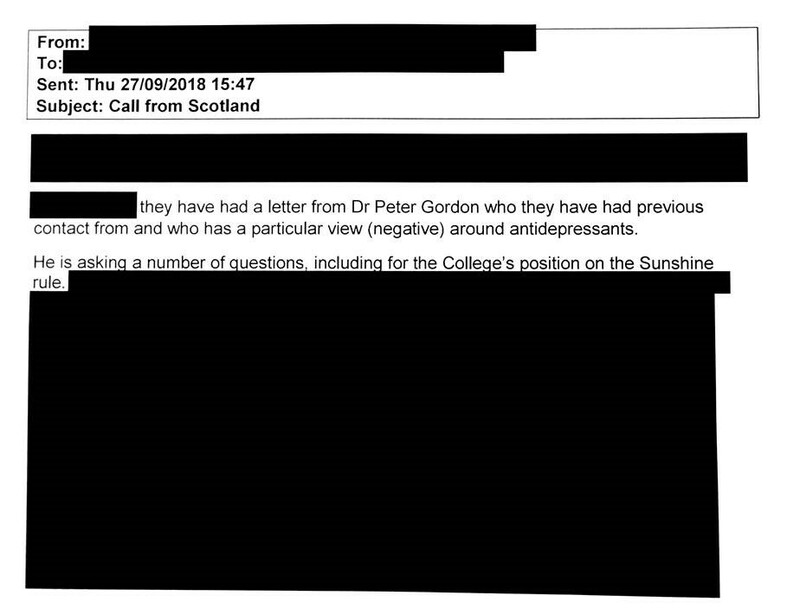 Dr Crichton carefully avoided answering these questions but said that he recognised a “wee shift” of College view on antidepressants and prescribed harm. Given this, I asked Dr Crichton if he might share ‘Room under the umbrella‘. He later replied that he hadn’t because “the debate is highly charged and I am cautious” but that he would “speak about all of these matters” when he next met the President of the College. I have to take Dr Crichton’s concerns at face value but I find myself wondering if my open questions in relation to College ethics and patient safety were also a factor here? Dr Crichton, as Chair of RCPsych Scotland, has expressed concerns about an increasing number of doctors deciding to retire early and the loss of experience this brings to the NHS. I myself am now in my fifties. I am hearing ‘EXIT music’. Previous Post Previous post:Aye RIGHT! And this is spot on too Peter! I have now added to this post two old films by me. They are both short. One is on Royal Cornhill Hospital and the other is on Kingseat Hospital. Neither hospital is still there. It is only lived experience that can begin to make them real!